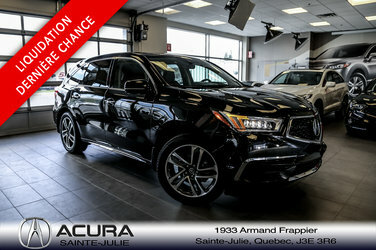 Depending on the version, the Acura MDX is a six- or seven-passenger luxury SUV that is among the best sellers in North America. There's a standard 3.5L V6 that produces 290 horsepower and 267 lb·ft of torque. The transmission is a nine-speed automatic and all-wheel drive comes standard. The Sport Hybrid version features a 3.0L V6 and three electric motors for a combined output of 321 horsepower and 289 lb·ft of torque. Want to try the 2018 Acura MDX Navi DEMO ON SALE?